Wolfgang Höhl is an expert on applied interactive technologies and 3D computer graphics. Today he is an assistant professor at the University of Applied Sciences in Augsburg, at the Ludwig-Maximilians-Universität (LMU), at the University of Technology in Munich and at FH JOANNEUM University of Applied Sciences in Graz. He is a registered expert for EU programs and EU-funded projects and has served as an expert evaluator as well as a project reviewer in the scientific board of dedicated conferences and has performed national funded projects. As an architect he has a professional background in sustainable energy concepts, computer aided architectural design, 3D-visualization and solar simulation. His contribution “Switchable Nanoparticles” was nominated for ACGA Award 2016 at PIXELVienna in the category “Best Foreign Production”. The animated movie “Marble Spaceship” won the second prize at Fast Forward Science Award 2015 in the category “Untitled”. This movie was exhibited at ZKM_Media Lounge in Karlsruhe from December 4th, 2015 – February 28th, 2016. He was rewarded with the “Design & Nature Award 2004” by the Wessex Institute of Technology (WIT) and he was nominated for the Inge-Morath-Award 2006 for scientific journalism with his contribution on “Augmented Reality for Architectural Visualization”. Most of his work has been published on international conferences and in specialized computer and architecture magazines. Please do not spread contact data and handle adress data confidentially. 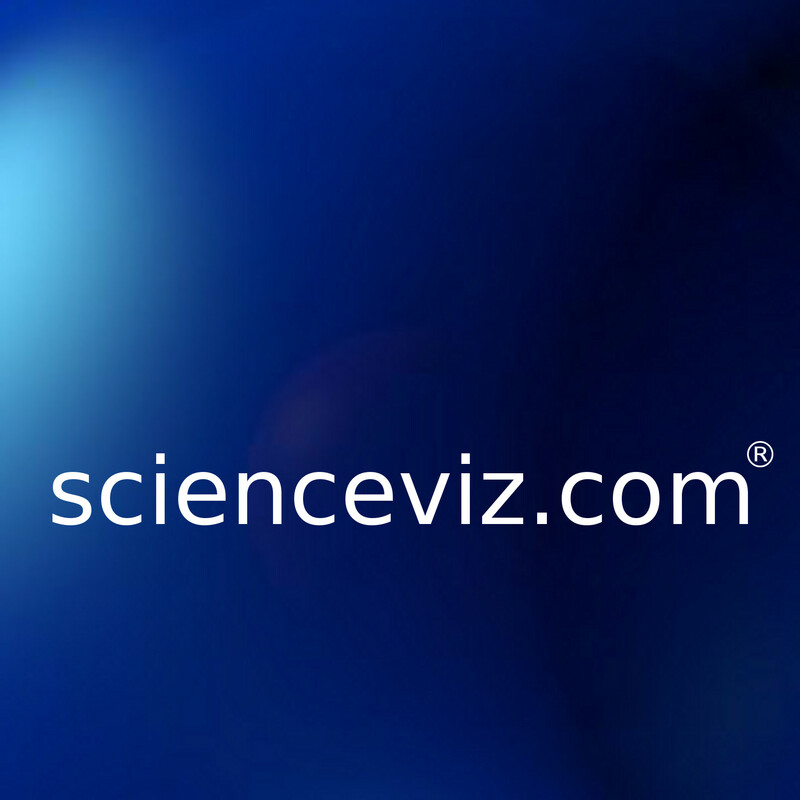 ‘scienceviz.com®’ is forming a scientific board to take care of the content of this internet web site. When you are interested, please let us know. Your contact person is Dr.-Ing. Wolfgang Höhl. ‘scienceviz.com®’ makes every effort to provide timely and accurate information. Nevertheless, mistakes and confusions may occur. ‘scienceviz.com®’ does not assume liability for relevance, accuracy and completeness of the information provided. ‘scienceviz.com®’ reserves the right to change, supplement, or delete some or all of the information on its Internet web site without notice. Similarly, ‘scienceviz.com®’ also reserves the right to temporarily or permanently discontinue the Internet web site. Individuals or organisations providing information on the internet are only responsible for illegal and punishable contents derived from other sources which are accessed by direct or indirect connections, e.g. links, if the individuals and organisations are aware of the nature of these contents on these web sites. Contents derived from other sources are noted appropriately. ‘scienceviz.com®’ has no influence whatsoever on contents derived from another sources and does not promote them. ‘scienceviz.com®’ has no knowledge of illegal or offensive contents contained in the linked web sites from other information providers. If there are illegal and offensive contents on the web sites of other information providers, ‘scienceviz.com®’ distances itself from these contents. The layout, graphics and all other contents of this homepage are protected by copyright law. You use the site and the content on your own risk. ‘scienceviz.com®’ does not assume any liability whatsoever for any consequences arising from your use of the site or the content. The site, all content and functions available to you is provided “as is” and “as available”. ‘scienceviz.com®’ does not make any expressed or implied representations or warranties of any kind and, to the fullest extent permissible by law, disclaims any liability whatsoever (1) for the accuracy, merchantability, fitness for a particular purpose, or non-infringement, of any content published on or made available through the site, and (2) for any viruses or harmful components or software code that may cause damage to your hardware, software or data as a consequence of your use – in any way or manner – of the site or the content. All information on the site are provided with all faults and the entire risk as to the quality and accuracy of the information is with you as the user. ‘scienceviz.com®’ shall under no circumstances whatsoever, including but not limited to ‘scienceviz.com®’s negligence, be liable for loss of sales, profit s or revenue, loss of goodwill, loss of data or any other direct, indirect, consequential, incidental, exemplary, punitive or special damages caused you or any third party from the use of (or inability to use) the site or the content, even if ‘scienceviz.com®’ has been advised of the risk for such damages.